Hi everybody! I hope you enjoyed the holiday weekend. We got a lot of work accomplished in the yard, rearranged some furniture, attended 2 beautiful sweet weddings, celebrated my Mom's birthday, and spent yesterday doing nothing but relaxing, playing cards, swimming, and watching old movies. It was perfect! As I hinted at in a post last week, I moved a small dresser that had been beside my bed into the living room. I had a similar piece there before, but relocated it elsewhere in the room...will show you the rearranged look soon. Anyway, for a while I've wanted a change for this wall of brown. I didn't want to paint the old piece that was there, but since this dresser is there now I'm open to anything! New hardware is a given, I'm thinking of filling in some holes and just using knobs. and the picture doesn't do it's rich color justice, but I'm smitten with the color right now and think it might be just the thing to brighten up the window wall in my living room. I like how it plays well with so many hues of green. The green china cabinet is across the room in plain sight in the dining room, and I already have lots of black paint around, so I'm game to try something new. They are all similar, but one's a little more green, one's a little lighter, and one's a little darker. Whatever I end up using, I think I'll go high-gloss! So, what do you think? Should I go a totally different direction? Any other color suggestions? I love that lamp! What a fabulous find. I always love blue too, I think it would work great! i love the blue but my first thought was black.... i love the look of black with aqua blue glass knobs- that would look awesome! LOVE, love, love the blue! If it's a fail, you can paint it black. That lamp is fantastic! Gah, I'm dying over how gorgeous one of those teals would be with the brown leather!!!!!!!!! Please do it, so we can all see the outcome!! I'm excited at the prospect! 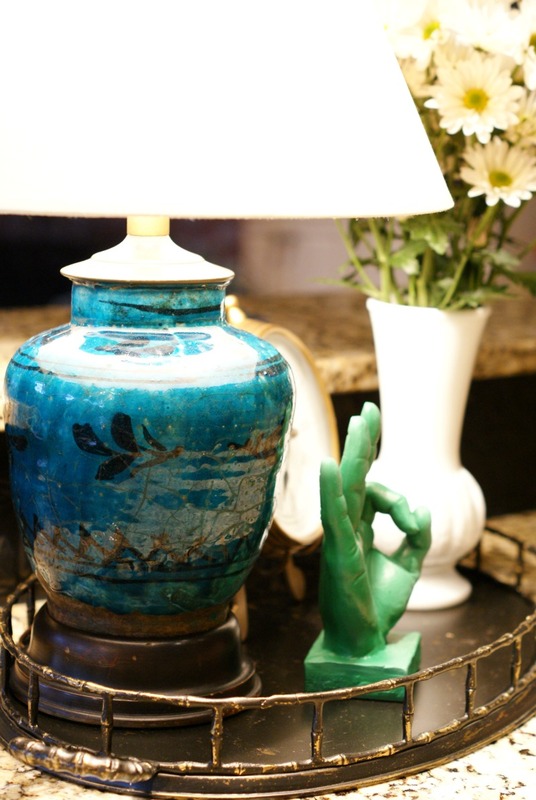 If you want to avoid painting the chest, add the new aqua lamp to the tabletop, along with some other colorful accessories,put a green throw over the back of one of the chairs, change out the pillows to some with aqua and/or green in them. If you do paint it aqua, I think the aqua lamp on it would be too much and it wouldn't stand out as it should. It's gorgeous! Can't wait to see what you decide. Well, after going back and forth several times, I'd do a sample on each drawer! :) The blue will look fabulous with your leather chairs! Love! Peacock Tail for sure! Gold hardware would look fabulous with it. 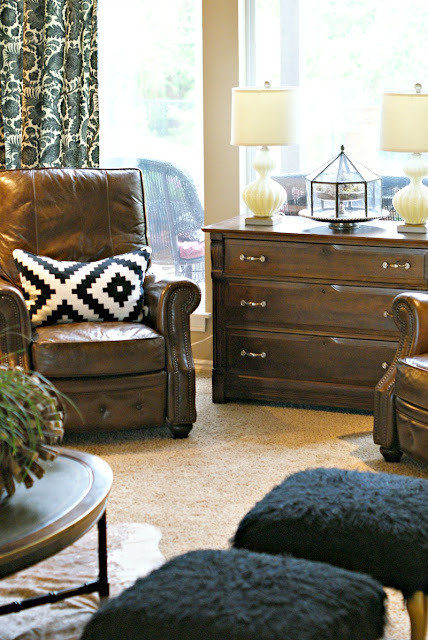 And I kind of need those leather chairs- where are they from/who makes them? I think that color (in any of the shades) will look amazing with the brown chairs. And esp in high gloss! Love all the colors and I think each one would work very well. The lamp is awesome! I need to go thrifting with you. :) I was going to suggest a shade of turquoise/blue, however, you've already shared perfect colors. 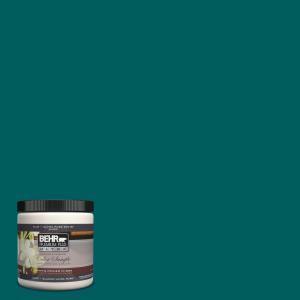 The accent wall in my bedroom is a deep teal, also by Behr. A high gloss and gorgeous knobs = beautiful! I just found a gorgeous gold tray at Pier 1 for $4.98! Can't wait to see it in my new abode. Anyway, that would look gorgeous under the lamp or near it. We lost one of my grand dogs over the weekend and we're all just heartbroken. Takes so much out of you when you lose one even though there's so much joy while you have them. 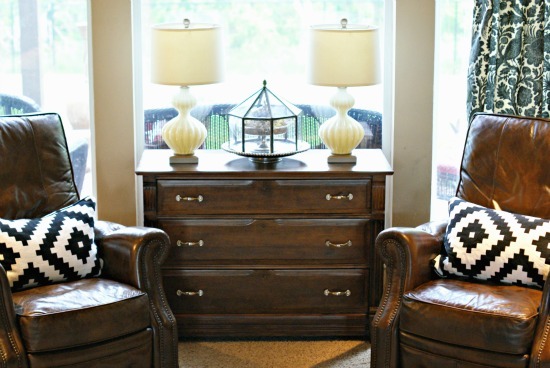 I would use Miss Mustard Seed's milk paint! LOL! 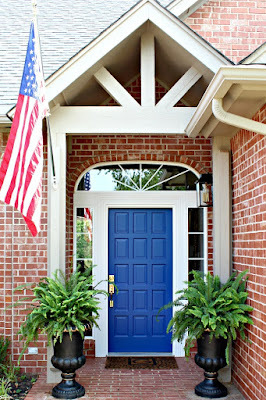 I have never been a fan of blue but MMS milk paint in flow blue totally changed my opinion of blue! I'm sure any of those colors will look great - and I especially love the idea of that dresser being blue with those gorgeous curtains! Oh, I love the color of the lamp and can't wait to see what you decide on the paint. I kind of like the last one best. I was also thinking navy blue. I'm a little late to comment, and since I already saw the color you picked out on instagram, I can honestly say you made the right choice! Cannot wait to see the reveal. How about painting, and then going over it with a stain, to give it a little depth and not quite straight out blue??? 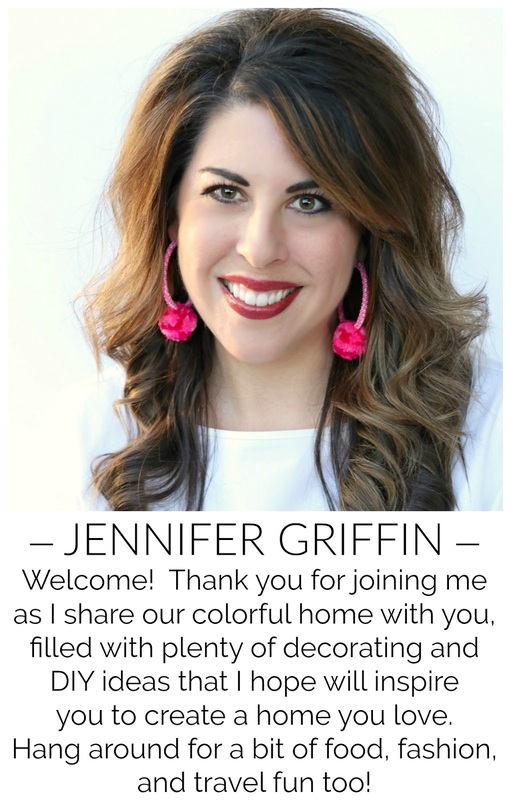 I love the colors you picked out, by the way! I use teal alot in my home and love it. You can't go wrong with this color, it's going to be great. Love the middle one. Hi-gloss will be perfect! Have fun! I would love to know the source for your curtains that are beautiful. 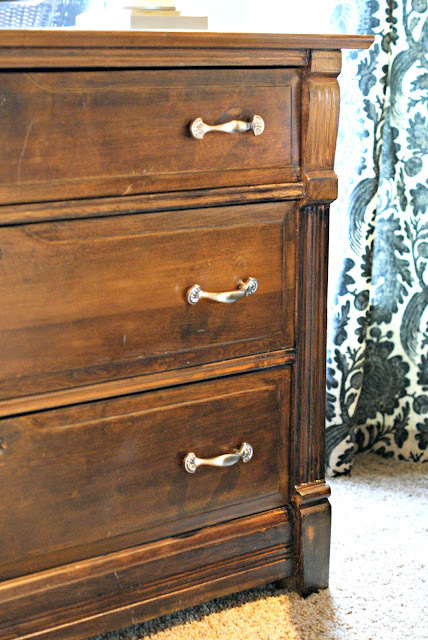 And I love how the teal dresser turned out!